Don't have an account? Create Your Account , it takes less than a minute. 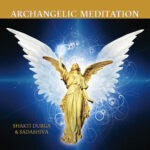 Shakti Durga is the founder, spiritual head and inspirational leader of Shanti Mission (Peace Mission), with its head office based in Australia. The not-for-profit charity operates a wide variety of projects and programs with the aim of creating inner peace and peace between people. How Can We Fix This World?